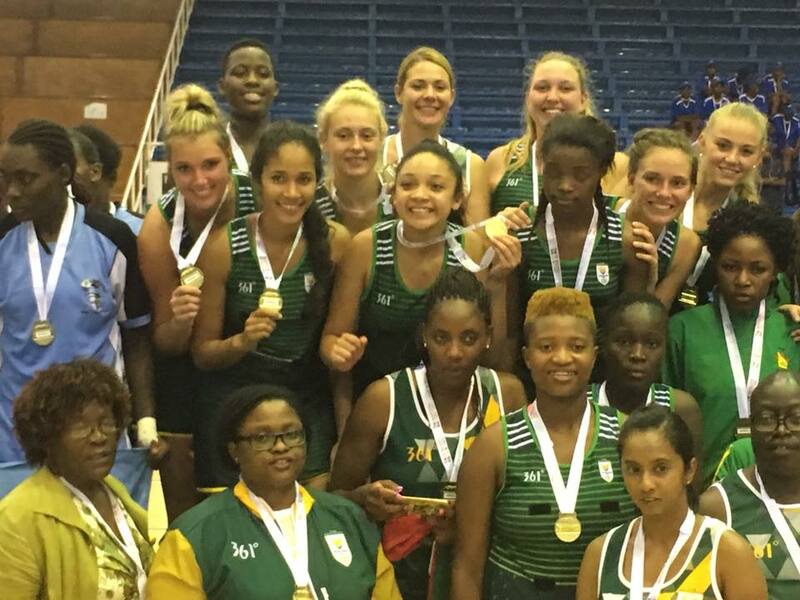 As swimming continued to rake in the medals Team South Africa’s netballers played their way to gold on the penultimate day of competition at the AUSC Region 5 Games here on Friday. 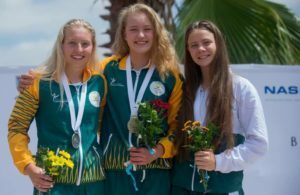 The swimmers took their medals tally to 44 after three days of competition as they added a further 13 medals in the evening finals. The team won six gold, six silver and a bronze in the Alvalade Pool. One swimmer over the moon with his day was Daniel Swanepoel: ‘I’m very happy with my performance today, close to my personal record but I’m not quite at my peak because I was writing metric and have just finished. And Nathania van Niekerk is one of the team’s busier swimmers. ‘I’m happy with my performance today as I did quite a few races. I’m tired but am glad I still swam well and got my personal best in the 100m butterfly. Swimming winds up on on Saturday as does the women’s soccer where they play the final against Namibia at the Coqueiros Stadium. Back to netball though and at the Citadela it was nail-biting stuff as South Africa took on Botswana for the second time in two days! On Wednesday South Africa had come up trumps 36-28 against their fiercest rivals and it was always going to be another cliffhanger. On Friday they finally grabbed gold with a score of 32-25 but it could have been so different. SA were off to a great start and raced out to a 5-0 lead before being pegged back to 6-6. The first quarter ended 7-6 to the green and gold and the second saw things all square at 14-14. The SA shooters were simply not finding the target and should have been comfortably up. After the third quarter the South Africans had edged ahead to 24-20 and coach Jenny van Dyk could be seen having stern words with her charges. Whatever she said worked. Despite being pulled back to 24-22 Team SA rocketed out to 30-22 and the game was as good as done, despite a late injury scare as Nozipho Ntshagase went crashing to the floor. Luckily she was soon up on her feet and was still able to take her place on the victory podium and receive a well-deserved gold medal. Said the winning captain, Jessica du Plessis: ‘It was a very, very physical game tonight and it was tough out there. ‘Botswana had a much bigger group of supporters and the refs were a bit indecisive. This all played on our nerves… I also missed three good scoring opportunities from right under the posts. ‘But slowly we started putting them under pressure, kept our cool and then our defenders started turning over balls. It’s certainly the biggest win in my career so far. 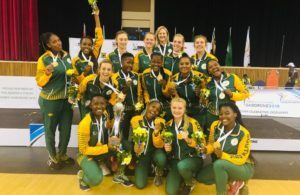 For her part, coach Van Dyk can hold her head high after steering the last SA team at these biennial championships to the final in Bulawayo, Zimbabwe two years ago. ‘That was really, really hard. We got off to a great start and then lost things a bit. ‘But we finally, finally wore them out and you could see that in the last quarter. This was excellent exposure for the youngsters, playing in front of a hard crown and being under pressure. In other action on Friday the women’s footballers beat Zimbabwe 4-0 in their final pool match. The goals came from Linda Mtlhalo, Holweni Sithole (2) and Karabo Dlamini. They’ll be the final SA team in action at these Games on Saturday afternoon before the closing ceremony winds things up on Sunday.